Windows computers have become a necessity of daily life and this is why you should don’t forget to follow basic PC maintenance tasks to make sure it runs at its best. So, read the article to follow the easy PC maintenance tasks. Our PC requires maintenance and it is important to stay on top of maintenance that needs to be done periodically on Windows computer and other devices to keep things running smoothly. Unfortunately, many PC users make mistakes when it comes to maintaining their PC and these mistakes result in hardware damage, data loss, security breaks, and general system instability. 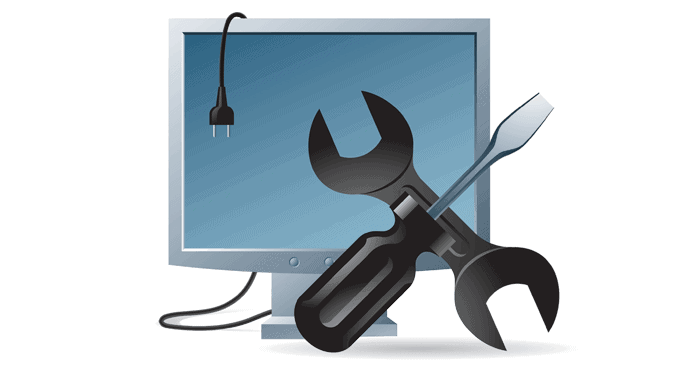 Here we cover the lists of PC maintenance tips that you need to do. 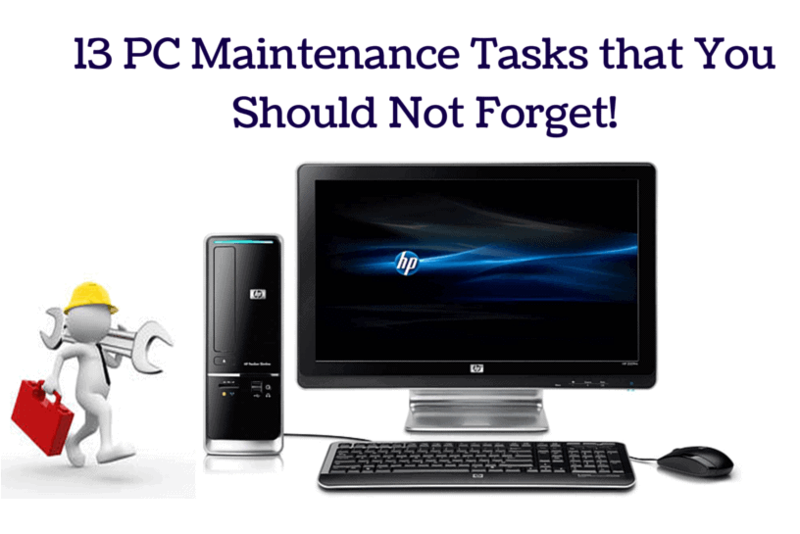 So look at the tasks that you should not forget while maintaining your PC. Well, there are many tasks that help the user to avoid your PC from damaging and also optimizes the performance 0f the PC. So, read the article to follow the computer maintenance tasks list. Keeping Operating system and another software updated is important. If you are running an outdated version of Windows, outdated version of Firefox or susceptive version of Java, then your PC is at risk. So be sure to keep your software updated, you can manually check for updated or set it to automatically install updates or, at least, inform you of them. This is the most important ways to maintain your PC and needed not to be forgotten to optimize the PC performance. Over time, your PC ends up being a bunch of old files that are required no longer and this gradually slows down the PC speed so you need to clean up disk space. This allows users to remove the files that are no longer required. This can delete temporary internet files associated with Internet Explorer, downloaded program files, and Offline web pages, users can also empty the recycle bin, delete temporary files and delete thumbnails. To open Disk Cleanup point to the lower-right corner of the screen, move the mouse pointer up, and click Settings > Control Panel, and type Admin in the Search box click Administrative Tools and double-click Disk Cleanup. Then in the Drives list, click the drive that you want to clean up, and click OK. In the Disk Cleanup dialog box, click on Clean up system files. Here you might be asked for an admin password or to confirm. Now in the Drives list, select the drive you want to clean, click OK. In the Disk Cleanup dialog box, select the checkboxes for the file types that you want to delete, and click OK, and click Delete files. If you want to free up more space on your PC, then click More Options and choose from the options. This is really worth to maintain PC performance like a new PC. If your PC is older than it is a good idea to give your hard drive a periodic checkup. This is also necessary to maintain your PC as newer. Windows has a utility that can be run from the command line or user interface that check the disk for errors and attempt to repair them. This utility can inspect all the important system files on PC, including Windows DLL files. So know how to run it. To run it, launch the Command Prompt as administrator and type: sfc /scannow and press Enter. After that, a system scan begins and delivers the report. This will take time as per the size of your drive and hardware. To make sure your hard drive is healthy run a disk error check through the user interface and to do this open and right click on local drive generally C: and select Properties. After that the click the Tools tab, and under the Error Checking section, click the Check button. Scanning your system with the system file checker not only help you to optimize Windows PC performance but also fixes many Windows PC errors. This is one of the most important tasks to do, backup your data regularly. This helps you to avoid losing your precious files, photos, videos and much other precious stuff. Have a local backup of your important files on an external drive. Backup your important files to a cloud service like OneDrive or Dropbox. A full system off-site backup using a service like Crashplan or Backblaze. Select the unused program and click on the Remove button. This will help you to remove the unused programs easily without making use of any third party software. 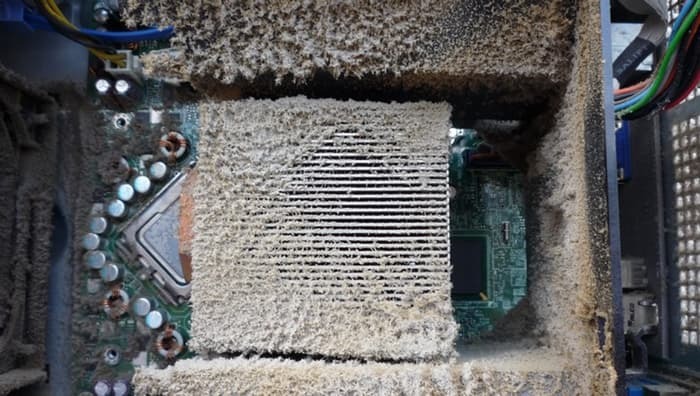 If you are using a desktop computer, it ends up collecting a lot of dust internally, so it is important to clean up the dust from the computer this will keep your CPU from overheating. To clean the dust make use of the gas duster to blow out the dust, unplug the power cord before taking off the case cover and clean it up. Make sure not to point the canned air too close at internal parts as it can make some of them come loose. Well blowing out a laptop is more difficult, modern laptops are not meant to come apart easily but try this to clean it, first take the screw out of the bottom and unplug the power and remove the battery first and get at the internal parts with canned air. Since if you are not sure then it is recommended check the service manual or manufacture’s site for instructions or else consults a tech professional to clean it or if you are suspect it’s overheating. 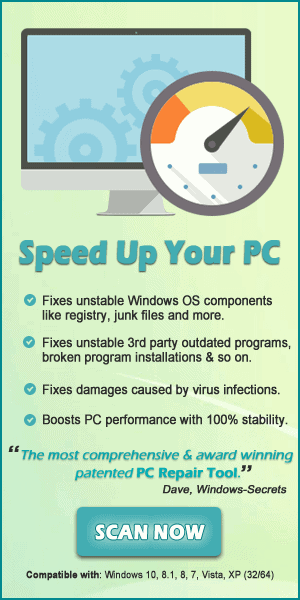 This is the healthy way and useful to make your PC works optimally. So try to make your hardware drivers updated you can check it manually to the manufacture’s website for the compatible drivers. Update your graphic drivers, NVIDIA, AMD; Update your hardware drivers with Windows Update you can set it to automatically download and install the latest for you. You can also make use of the Driver Booster to update the drivers automatically, just by scanning once. It is important to fully scan your PC on the regular basis to find out the virus and malware which infiltrates into your PC and damage your PC internally. The existence of virus and malware not only make PC performance slow but also steal confidential data of the users. For the protection from malware and harmful viruses, you can make use of anti-malware software for the thorough protection. By default Microsoft Windows all versions use up to 10% of computer available disk space to save most recently deleted files. The main purpose behind this is to allow users the ability to recover files that have been accidentally deleted. 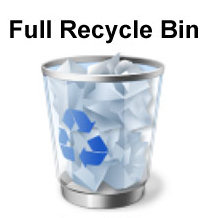 So to get more space empty recycle bin or permanently delete the files from your hard drive that you won’t need again. To do so, right-click the Recycle Bin icon and select Empty Recycle Bin from the drop-down menu. This will free up space and even optimize the performance of the PC. 10. Always Power Down Your Laptop Before Moving it Around, and At Night. This is very important to power down the laptop before moving around and at night as this leads corruption and heavy loss. Here we have given some points that describe best to know why you to the power of your laptop. To avoid long boot-up times, you can also put your computer into Sleep, Standby or Hibernate modes. Keeping laptop on for whole night shorten the life of the hardware. So when not in use shut down your computer or put it into sleep or hibernate to extend the life of your hardware. Click on Start button > My Computer > right click “C” drive. Then select Properties and then click on “Disk Cleanup” and select “All Users” if you get pop-up windows with that option. Now move ahead disk cleanup will calculate how much space you will able to free up. Click to check the boxes in this window and click Okay. To maintain the integrity of your data there are two hard drive tests that users should run at least once a month. The first is to Defragment your hard drive and secondly is to perform Check Disk utility. Windows have a built-in utility Defragmenter and Check Disk Utility. HELPFUL ARTICLE: Improve Your PC Speed With Disk Defragmentation and Cleanup! Defragmenting is a simple way of eliminating empty blocks and putting files back together. To defragment your hard drive opens up the Properties Windows and select Tools. After that click on “Defragment Now,” This process must be scheduled as an automatic task once a week. It will noticeably make the system faster. Second is to perform Check disk utility, this will verify hard drive volumes for problems and attempts to repair them. For example, repair problem related to bad sectors, lost clusters, cross-linked files, and directory errors. So to run the check disk utility go to the Error-checking section and press the Check now Button. Disk errors are a common source of difficult-to-track problems and running this utility regularly can significantly reduce the risk of problems. So this is the safest way to undo the changes to your computer without affecting personal files for ex. Emails, documents, photos and many more. Before you install any new software on your system, always create a System Restore point. Some software can play havoc with your system causing all sorts of strange problems. System Restore helps you restore your computer’s system files to an earlier point in time when your system was working well. This functionality is built right into Windows and this reduces the risk of loss so there are no reasons not to do it. First, go to Control Panel and select Backup and Restore. So these are the regular PC maintenace tasks that you need to follow and make your WindowsPC/laptop blazing fast without spending a single penny. Scan your system with the professional recommended Windows Repair Tool, this is designed with the advanced repair utility that scans, detect and fix various Windows issues automatically. This is a repair utility that help you to fix the Windows operating system from damages caused by viruses, malware, spyware, corrupted Windows system files, Registry error, PC error, Network error, hard Drive, prevent you from file loss and many others. It also optimizes the performance of the PC/laptop and enhances the speed of the PC, and application installed. It is easy to use and fixes the error automatically so there is no need to contact and technical person. Just download and install it to make your PC error free. It is imperative to take sensible measures to protect PC from several dangerous threats encountered online these days. So, you need to effectively protect your PC against viruses and spyware that could result in the complete loss. Here follow the ten effective tips to protect your PC. Installing an antivirus program and keeping it updated help you to defend your PC against numerous viruses, spyware, malware and other malicious programs. Keeping PC software, operating system, windows browser updated is important and healthy for your PC. Microsoft releases security updates to protect your PC, make sure to enable auto-update to make your PC as updated as possible. Windows Firewall can help to alert you to suspicious activities if a virus or worm attempts to connect to your PC. it can block viruses, worms and hackers from attempting to download potentially harmful programs to your PC. It is imperative to regularly scan your PC from being affecting it from dangerous threats, malware, viruses and malicious threats. 5. Use email and Internet safely. You should be careful from unsolicited emails and be wary of attachments, links and other things that you are visiting and downloading from the internet. You should not open the emails and download the attachments that are not expected. It also important to use the internet safely and download files, software application etc from secure websites. The most website predicts as they are secure and trusted but, in reality, they contain some form of malware. So pay close attention while downloading emails and surfing the web. Backing up your files is easy to do and is essential for protecting data. You should go for automatic backup as it is likely creating system restore point automatically and prevent the situation of data loss. Choosing and using passwords correctly is essential for protecting data. It is also recommended to have the different password on different online accounts is safe and prevent the situation of privacy theft as in case the password is leaked, someone and access to each and every account you access. 8. Control access to your PC. Most importantly don’t leave your PC unsecured, unattended and logged on, especially in public places. The physical security of the PC is important as its technical security. It is strongly suggested to use a startup password to prevent unnecessary endangering. 9. Most importantly, stay informed. To protect your computer from dangerous malware, spyware, and malicious threats, it is important to stay informed of the latest developments for Windows, Macintosh Linux, and Unix systems. This will help you to know the latest updates and also helps to protect your PC. Once you get familiar with your anti-virus and anti-malware software, the error notification will become familiar. Try to avoid the notification that is not associated with your current software program, close out the fake message quickly. Don’t click on the pop-ups without reading or understanding what is going on.